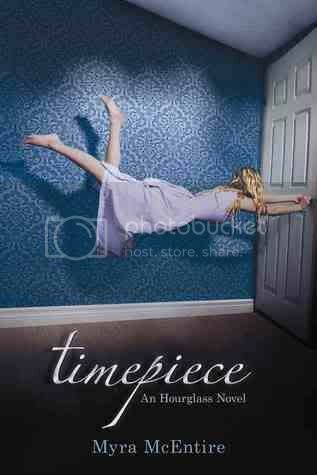 I was so excited to start on Timepiece just as soon as I finished Hourglass. Timepiece definitely did not disappoint! 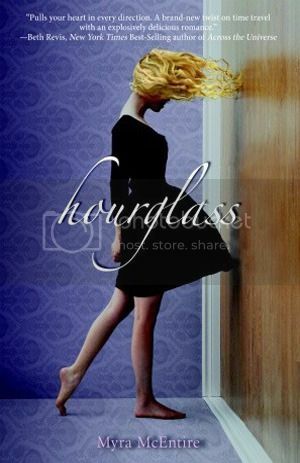 If you haven’t read Hourglass, or my review for Hourglass, you should definitely do so before reading this review. Timepiece picks up soon after Hourglass ends. The book is told from Kaleb’s point of view, which worked well for me because I was intrigued by him in the first book. Getting into Kaleb’s mind was a very interesting thing. He was not at all what I expected. Tattooed and pierced, he is the ultimate bad boy. But underneath it all, he is such a caring soul. We get to see that in the way he treats Lily and Emerson, and even with Ava at some point. We also get to see a lot more of Lily, Em’s best friend, in this book. I liked that she was one of the main characters this time around, as well as the love interest for Kaleb. Lily is a feisty little thing, I enjoyed reading her story more than I expected to. I love watching her explore and grow into her ‘ability’. Also, she made such a cute couple with Kaleb! We are also introduced to a few new characters in this novel as well; a few that I am seriously interested in. (Poe being the main one.) I am curious to see what route McEntire is going to go with this character. And of course, there are a few characters that you are really going to hate! I always like a well written bad guy. The storyline for the book was much the same for the first book. Timelines are changing, and the crew is still chasing the bad guy, trying to stop him before its too late and everything changes. This book did seem to have a bit more suspense than the previous book did and a bit more action as well. It definitely had me guessing! Overall, I like this series more and more as I go along. The characters and the storyline just get better and better. I have already started the third book in the series, Infinityglass, and I can’t wait to see what’s going to happen next! I liked the second book more than the first -- can't exactly pinpoint why, maybe I just understand the world better. Lily was a great character! I really like this series! It's great you are reading them back to back because I forgot SO MUCH between the first 2 and Infinityglass. Glad you are liking them! Agreed that the series just keeps getting better. Kaleb BROKE my heart in a few places, but you know I loved he had a huge heart despite his bad boy exterior. *swoon* I'm excited for Infinityglass too! I wish I had read these books back to back-there was so much about the time travel that didn't really make sense to me because I couldn't remember much from Hourglass.